Cosmic Watch: Intellectual Mercury trines disciplined Saturn (4:15 am EDT). Our thinking caps are on today! Mercury-Saturn is an excellent aspect for concentration, planning, budgeting, organization and research. It favors serious discussions and presentations that call for relaying detailed information. Our words are parceled out more sparingly now and we also want to see proof or tangible results before we commit our resources, or sign on the dotted line. Keep in mind, though, that Mercury is still in its retrograde phase until May 3rd, which can mean decisions made now can later be reversed. Still this can be a productive time for conscientiously reviewing matters, cultivating sound judgment, as well as seeking wise counsel from those whose opinions and insights we value and respect. On another level, it may be a positive day to go for, or schedule, a hearing (audiological) test, or be fitted for a hearing aid. Saturn governs our hearing. 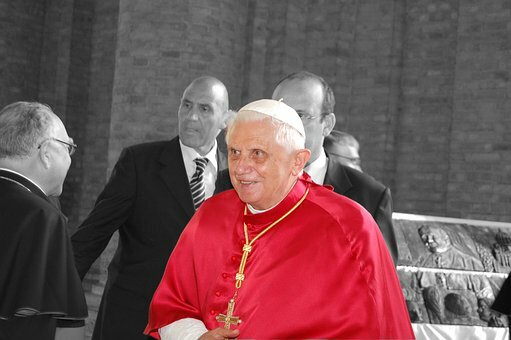 This Date in History: Cardinal Joseph Ratzinger was inaugurated as the 265th Pope of the Roman Catholic Church on April 24, 2005, taking the name Pope Benedict XVI. In the sky, initiating Mars, in humanistic Aquarius, was exactly sextile to rejuvenating Pluto in philosophical Sagittarius, a sign which rules, among other things, organized religion and our higher beliefs. Mars-Pluto aspects tend to usher in transforming scenarios in our lives, including situations involving changes of power. There can also be a strong feeling or sense that we are experiencing a pivotal “rendezvous with destiny” when these two heavenly bodies intersect.